Metro Nashville Public Schools has lost a keeper. Dr. Tim Drinkwine put in his resignation today. He is reportedly taking some time away from education to focus on his family after serving 3 years at the head of Eakin Elementary School. If you ever had the opportunity to interact with Dr. Drinkwine you understand what a special leader he was. The fact that MNPS is letting him get away is a huge loss for the district. The reason he’s leaving is like most things of this nature, complex. I won’t go into them because I respect him too much to co-opt his very personal decision to drive my agenda, but I also refuse to allow others to paint this as a “business as usual” kind of thing. There are those that will try and lead you to believe that educators of Dr. Drinkwine’s talents are readily available. They will tell you principals change schools every few years and that the school has been through this before and everything will be fine. Do not belive that. There is no magical principal orchard where you can just go out and pluck another great principal. Schools do have a lot of transition at the top but that’s not a healthy sign but rather a sign of how difficult it is to find a really great leader. Lastly, there is no guarantee that things will be all right. Don’t believe me? Just ask the parents of students at Joelton MS, Cumberland ES, Antioch HS, Sylvan Park ES, or Paragon Mills ES. At the same time people are leaving in high numbers, MNPS has had to extend the application window for Advanced Academic Teachers, Literacy specialists, and Direct District Instructional Support because the district is not able to attract enough applicants. I know we often argue the merits of the new math, but no matter what math you apply, high output plus low input adds up to the same result. School Board member Will Pinkston once told me back when we were still talking, that he didn’t care if people left because that just demonstrated they didn’t have the districts best interests at heart. Spoken like someone who’s never really succesfully managed people and hopefully he’s cultivating his own private educator farm because we are about to have a personnel crisis. The kind of crisis that takes years to dig out from under. I’ve long said that when you enter a new organization as a leader you will find basically three kinds of people all ready in place – people who are highly qualified and doing great work, people doing terrible work and under qualified, people capable of doing great work with the right management. It’s the directors job to inventory the talent, weed out the clearly unqualified, and convert those capable of good work. Dr. Joseph has never done that inventory nor have we as a public demanded it. Instead we let him believe that we were a district in crisis and he summarily dismissed the work that had been done to date in the district. We readily accept that in order for kids to succeed we have to hold them to high expectations, but we don’t apply that to district leadership. Parent’s loathe Grading For Learning but apparently we only too willing to extend the benefits of the concept to district leadership. If I consistently offered healthy critique to students, the narrative would be that I am pushing them to succeed. If I offer the same input to the director of schools, the narrative is that I am undermining his chances at success. I’m sorry, but both statements can not be true. Once again I am going to ring the warning bells. There are some very troubling trends starting to take root within MNPS. Burying our heads and singing “Everything is going to be all right” will not stop those roots from taking hold. Focusing on just your local school is not going to solve district issues and eventually the issues will translate to your backyard. We have to demand the same level of excellence from our leaders that we do from our students. Our school board can fight over charter schools all they want, and we can continue to allow them to distract us, but if we don’t fix our cultural problems and improve our existing schools, that argument will be moot. Parents will settle that argument with their feet and parents will demand more alternatives. Don’t believe me? Than just stay the course. Eakin parents, I wouldn’t freak out, you have a great school, but I certainly wouldn’t rest easy either. I’d drop a note to the school board and Bransford Avenue that you expect the district to maintain the high level of leadership you’ve become accustomed to. I’d let them know you intend to be an intregal part of the conversation. I’d be an integral part of that conversation. 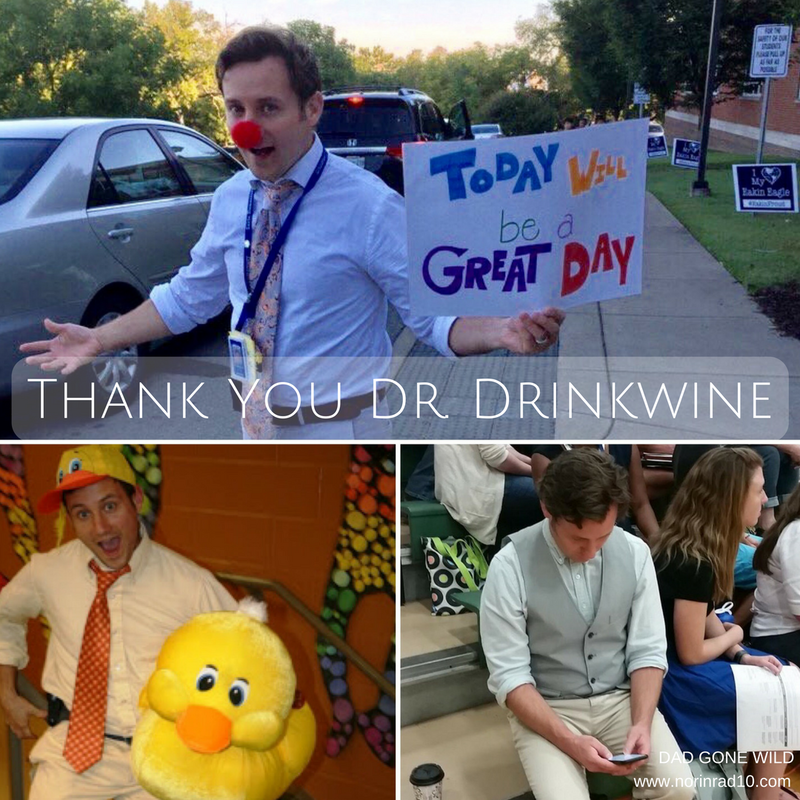 I’d also take a minute to tell Dr. Drinkwine thank you. It’s been a great three years and we are all better for knowing you. All I have to say is that you can look to MD for what will happen to your district (PG county, Howard Co (Renee Foose), Baltimore Co(Dallas Dance))…..all 3 are entwined in a mess and all 3 got Supers at the same time. In HoCo, we have finally managed to have the Super “retire” from her position after electing a new school board, the new board not being able to fire the Super, and the Super filing personal lawsuits against board members…..it has been awful and awfully expensive! That being said, and getting back to your post, it is Dr. Joseph’s mission to upset your community and the community feel of your school. When there is a school that works, where teachers are engaged, admin is respected and parents are happy, that is disaster for the like of Dr. Joseph. Time to mix it up and switch around the Principal (usually a reformer type wanting to climb the ladder) who will come in and start making some serious changes in school structure to get parents out of the way. Threats to teachers will happen which they will not talk about and the whole “feel” of your school will change. Parents are the key here, because if they know too much, they tend to make noise. Be vigilant and stay involved. This happened at my ES…..the Principal was forced to retire mid year (she attended the school as a child, taught there and then became it’s Principal), many of the teachers live in the neighborhood and were told by the new Principal that she was going to make their life difficult to get them to switch schools out of the neighborhood and the Principal started enacting new rules that would keep parents from volunteering at the school (no younger siblings allowed in classrooms, no volunteers allowed in certain areas etc). This is what the Broadies do. I’d also like you to make it your mission to attempt to get numbers of people leaving the district this year. I know we have at least 6 at my school, myself included, and I wouldn’t be surprised if there were more. Dr. Drinkwine is a huge loss for Metro, but think about the other greats who have left in the last year-Ryan Jackson and Ron Woodard to name a couple. You mentioned Lance Forman as well. People have to be worried and wondering what is really going on at the top. Are they threatened by exceptional educators who want to create thriving schools? I’m so relieved to be leaving Metro. I’ve formed wonderful relationships with students and families over the past few years but now I’m made to feel like that makes me weak and that the only thing that really matters is how much growth my kids make. I fear that trend will continue. 😢I am always saddened when MNPS loses another family. I’ve known Dr. Drinkwine and his family for 25 years. I was fortunate to stand on the shoulders of his incredible athletic achievements as well as his superior character traits. When you work with young people for a living they all leave a mark or impression on you. I’m a better educator for having Dr. Drinkwine as a friend. His departure from MNPS is painful because of the sincere interest he has taken in the lives of his faculty and families. Wish him well and honor him by employing what he encouraged with your actions and how you lead your kids into the future.